2 Bedroom Terraced House For Sale in Honiton for Asking Price £170,000. 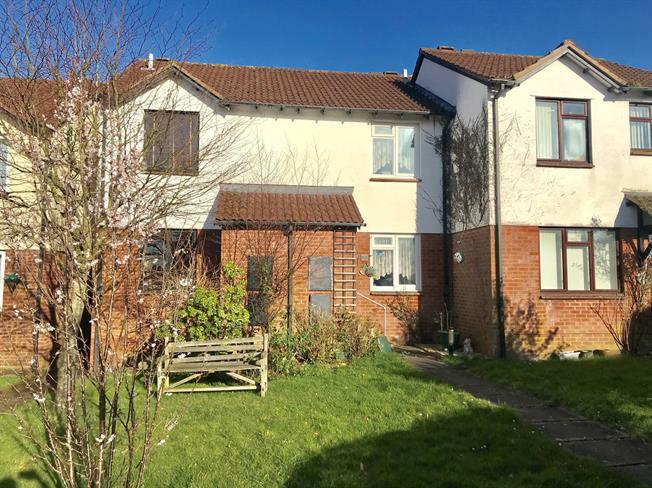 This two bedroom terraced property has well proportioned accommodation throughout, with the ground floor comprising a porch, lounge and kitchen. The kitchen has been fitted with a range of wall and base units and a breakfast bar, and access to the rear garden which is fully enclosed and backs onto neighbouring fields. On the first floor there are two bedrooms and a bathroom. The property comes with two allocated parking spaces and is offered with no onward chain. Fitted with a range of wall and base units with work surfaces over, space and plumbing for washing machine, space for cooker, space for under counter appliances. Double glazed window to the rear aspect and door to the garden. Double glazed window to the rear aspect, built in storage cupboard. White suite comprising low level WC, walk in shower and wall mounted wash basin. To the front of the property is a lawned garden, and to the rear the garden has been paved for easy maintenance. There are two allocated parking spaces.